On average, Australia experiences more solar radiation per square kilometer than anywhere else. The sun provides Australia with 10,000 times more energy annually than what is used by the country in a year. 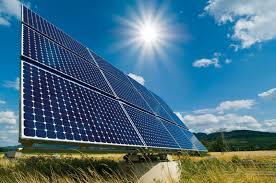 Solar panels enable the use of this incredibly abundant, renewable source of energy. Solar panels allow the harnessing of the Sun’s energy and convert it into electricity that can readily be used in the home to power all of its appliances. Comprised of photovoltaic (PV) cells, the panels are usually mounted on the home’s roof and situated in a way to maximize their exposure to the Sun’s light. For your solar power system to be worthwhile your home’s roof can’t be shaded, you need to be able to maximize the Sun’s rays. Solar power is an excellent way to save money year-round and help the planet by reducing your carbon footprint. Solar power has always been one of my favorites (along with wind). I especially like the idea of selling back power to the electric companies! I’ve always been interested in it as well. And yes, how great would it be to not only save a bundle of cash on your energy bills but make money off it as well? Do you have solar energy? I live in a big drafty old farmhouse so I can almost see the dollar bills seeping out of the windows in the winter time. It gets so bad, in the Fall, I run around the house with plastic and packing tape to seal all the windows to try to keep the heat in and the heating bill lower. On top of it, I get the feeling my furnace is on its last leg which makes me extremely nervous too. I keep saying I’m going to have it rebuilt in the summer but keep putting it off because it’s so darn expensive. So this year again I’m keeping my fingers crossed that it will last just one more year, which is what I said last year lol. No, I don’t have solar energy. My husband has never been interested in putting solar panels on (or a windmill for that matter)! For most of our lives, we lived where there is geothermal heat, nice and inexpensive. Now we live in Idaho, which has the third cheapest electricity in the nation. Our summer air conditioning and winter heating are very affordable, so alas we are going with the conventional. Well, hey as long as it’s affordable that is a HUGE benefit in this age of high energy bills. Idaho must be beautiful, I’ve always wanted to visit. When the kiddies were little we did a lot of camping, just “Honey” me and our 7 kids. Yes, you heard me right seven lol. Four I had the pleasure of making and three I was blessed with. We went all over but not out of state as much as I would like even though I love Michigan we like to explore. I live in West Michigan and have since I started raising a family. I was born and raised in Detroit and, at the time, it was a great place for a young man about town if you will but not a place I wanted to raise a family. What is geothermal? I have sort of an idea but I’m not really sure. Geothermal is hot water that is underground, usually caused by volcanic action. You dig a well and then put a loop in it. You then can use the hot water to heat your house. You can run it through forced air or you can use it in the floors. The heat is basically free except for the cost to run the fan. The city we lived in Oregon used it to heat their buildings and many used it to heat their homes. Boise has an area that has geothermal and the city uses it to heat many of their buildings. We moved here recently to be near the kids and grandkids (at their request 🙂 ).